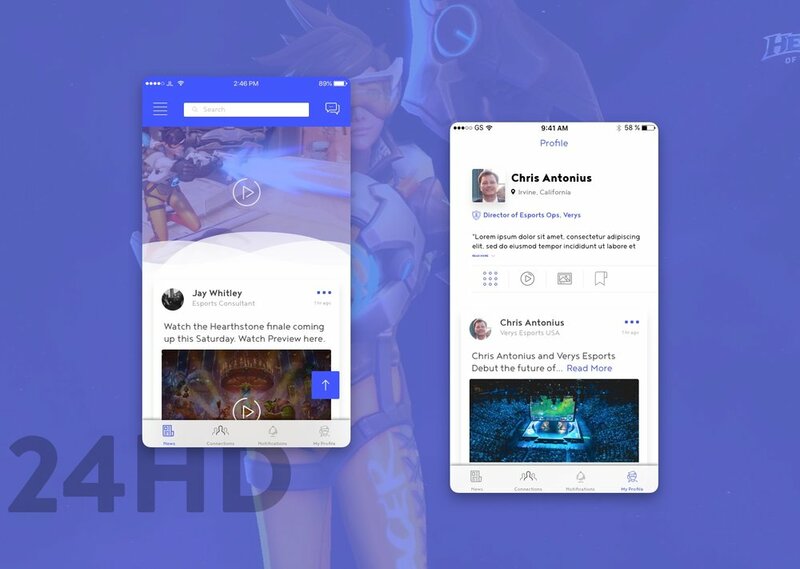 AnthymTV is a app that aggregates live TV networks and streams them over the internet. A customer can download our app via their iPhone, smart TV, streaming device (e.g., Roku, AppleTV, etc.) or Xbox, subscribe and instantly stream over 50 live TV channels without the the need for cable installation, a set-top box, or an annual contract. 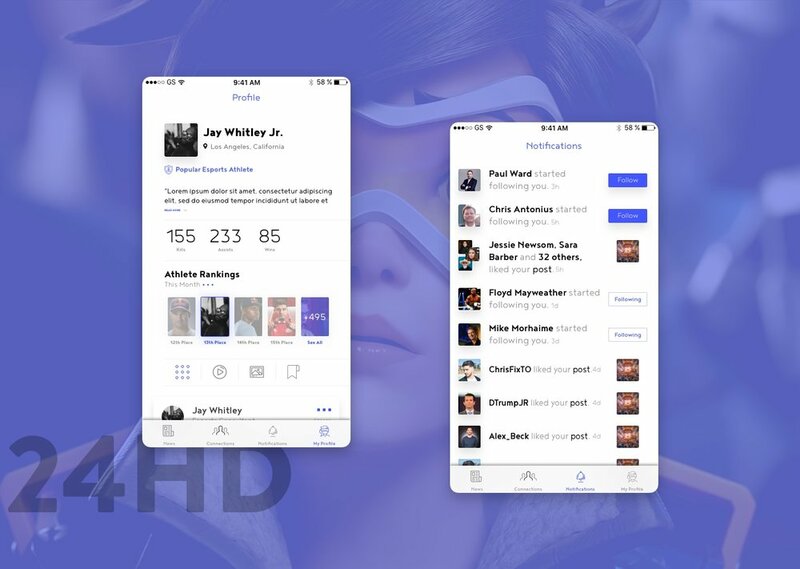 LinkedSports is a hybrid Linked Esports concept that aims to connect professionals in the Esports space similar to how Linked performs. Being one of the latest projects that we've completed this one in particular was a challenging yet fun initiative. Once we were able to decide on a direction the rest of the design work was easy! 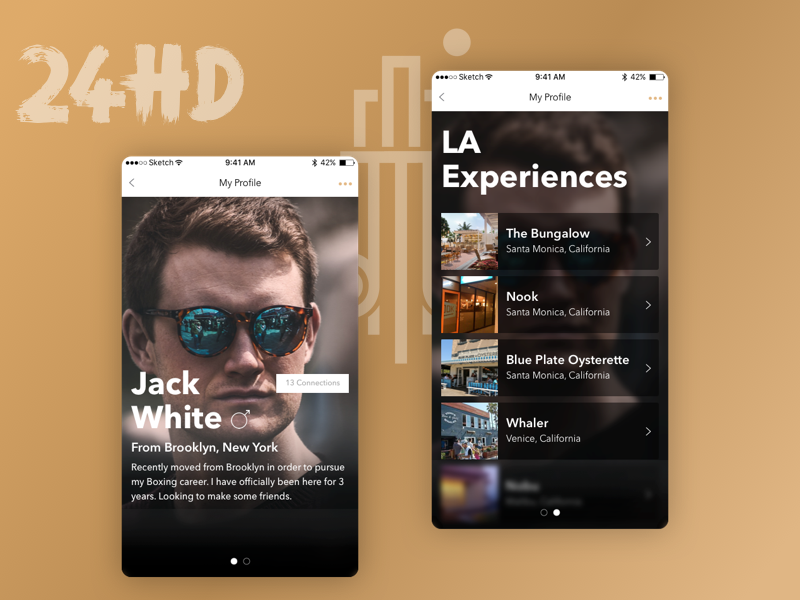 Transplant Social is a social networking application that connects expatriates and "domestic transplants" through the experiences of one another. Whenever an expat creates an experience, this allows newer users on the platform to discover the available opportunities within reach. Within the 48 hour timeline, we were able to create the designs, animated prototype and deliver to the client in just 33 hours! One of favorite and most recent prototypes this project was quite fun to work on for a few reasons. This app is a concierge concept offering residents within a community on-hand services at the push of a button. Need to book a flight, hotel, or restaurant reservation? This is the app for you! Only one catch, you must move to Irvine! 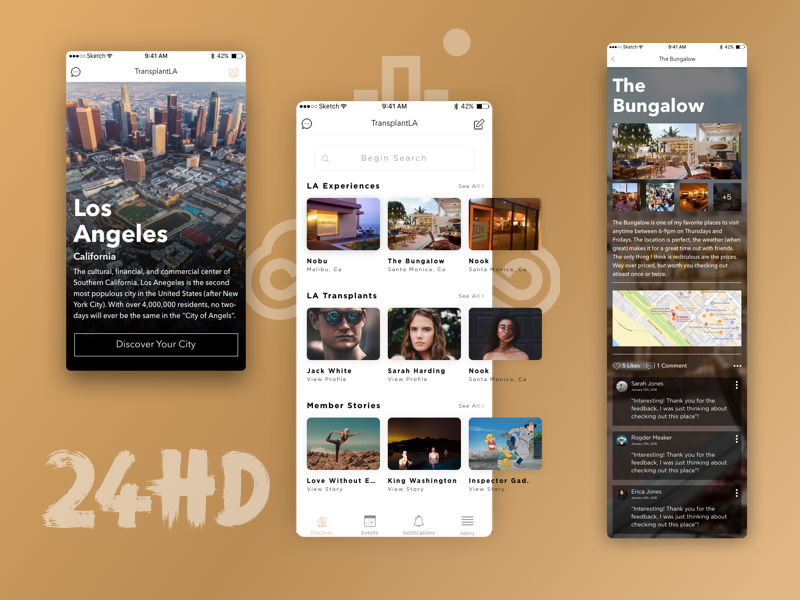 The time it took to design this app was only 14 hours, leaving us a full 34 hours of free-time to do yoga! The reason that we are showing two prototypes from the same company is because the first prototype came out so fast and beautiful that we were asked to do another! The client, being one of the world's largest master planners not only develops homes but sells them. 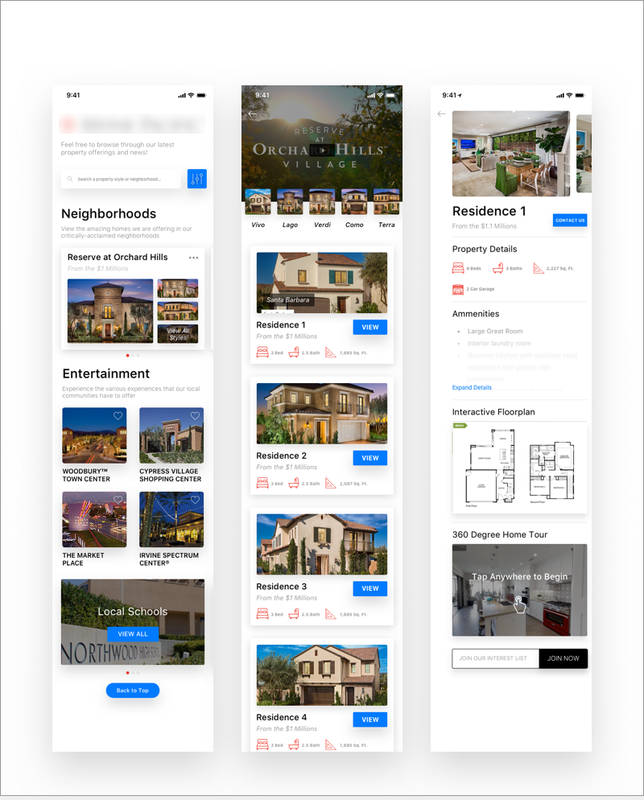 We took an opportunity to create a mobile-first focused redesign of their current real-estate website, giving a very mobile and native feel. This project took only 10 hours, partially because we knew what we wanted to do without much concept design!